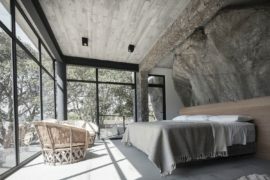 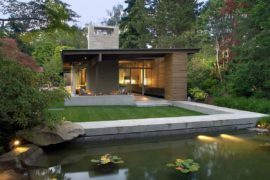 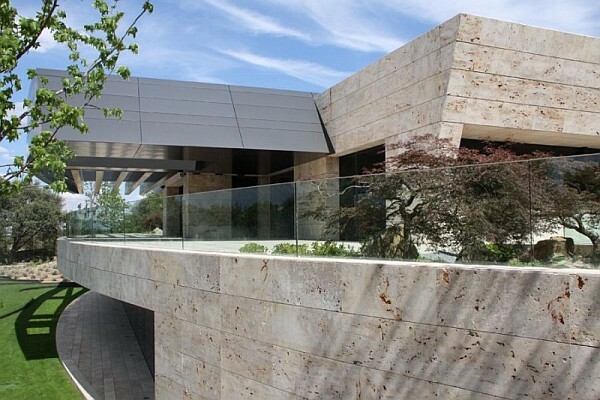 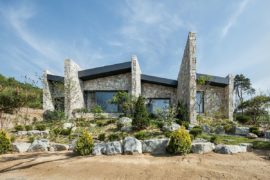 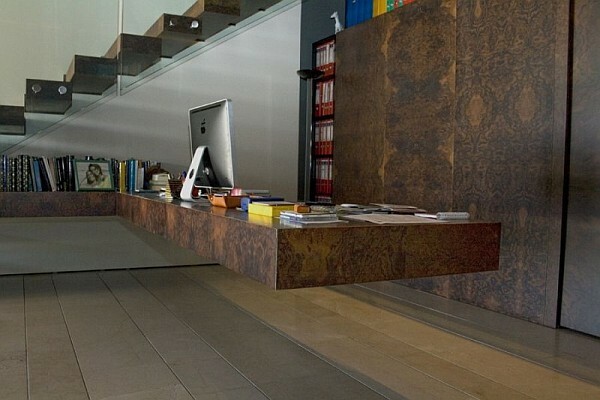 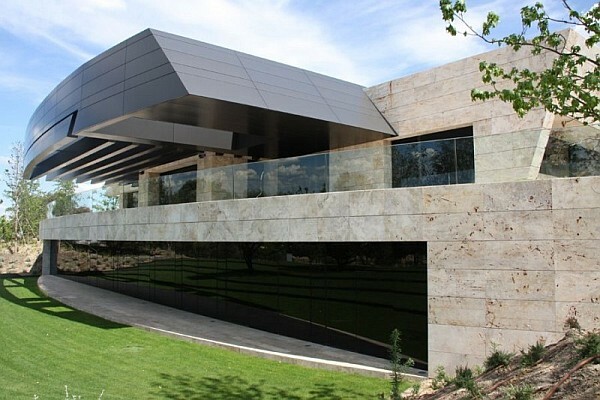 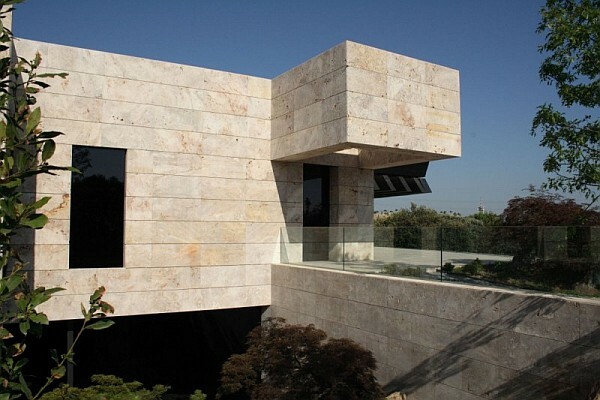 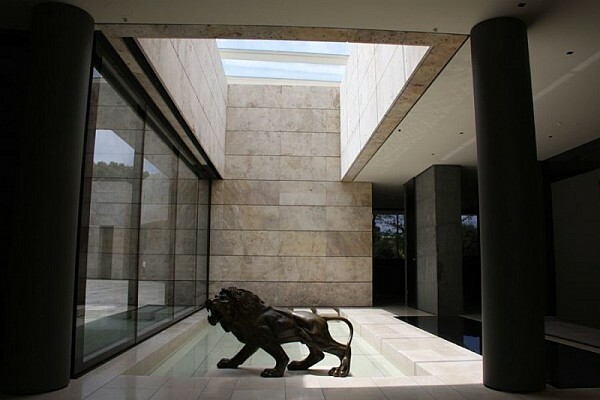 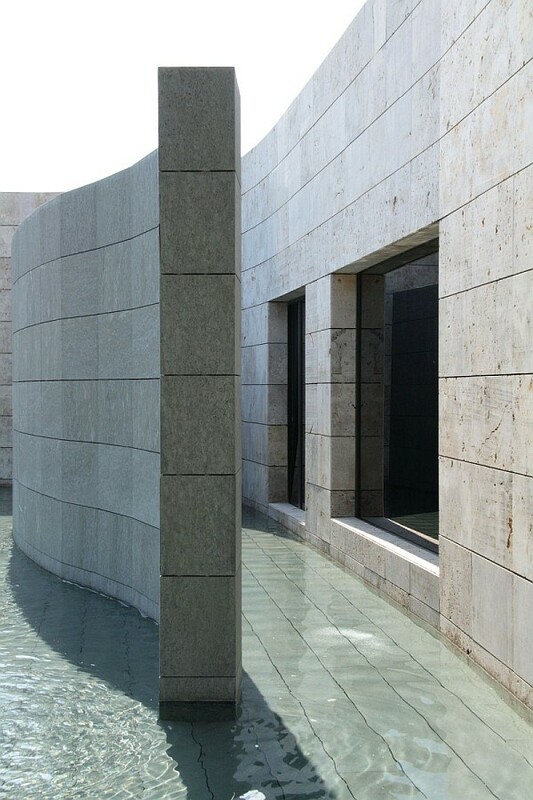 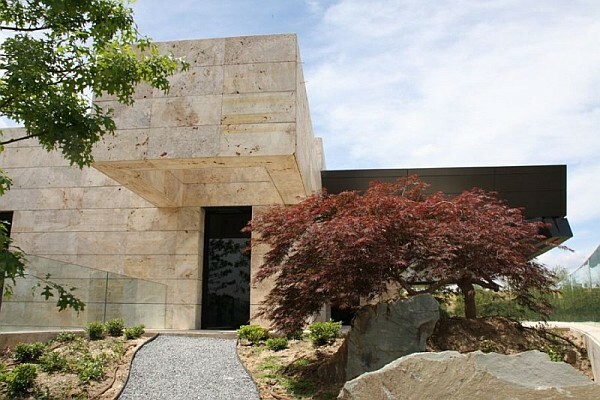 One of the characteristic features of most contemporary home designs doled out by A-cero Architects is the way in which they use dark stone to create structures that are both appealing and exude an understated class. 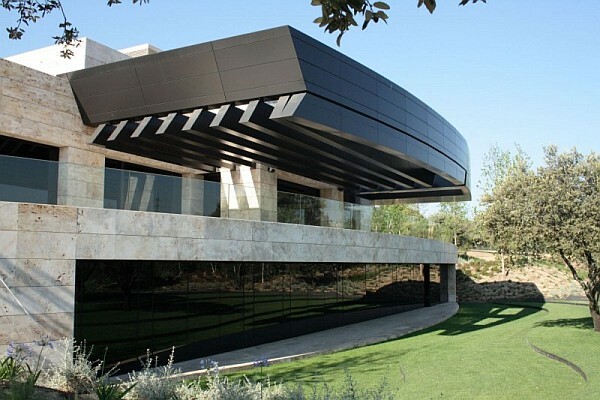 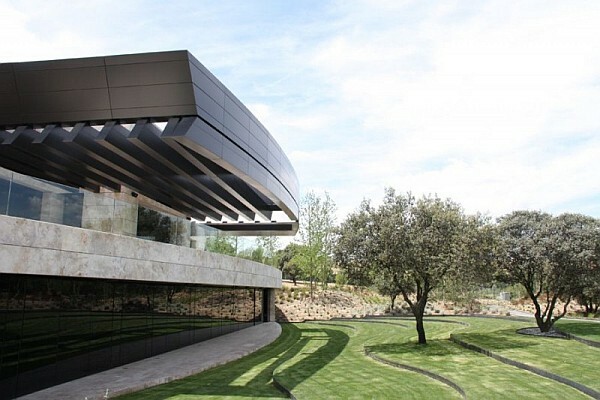 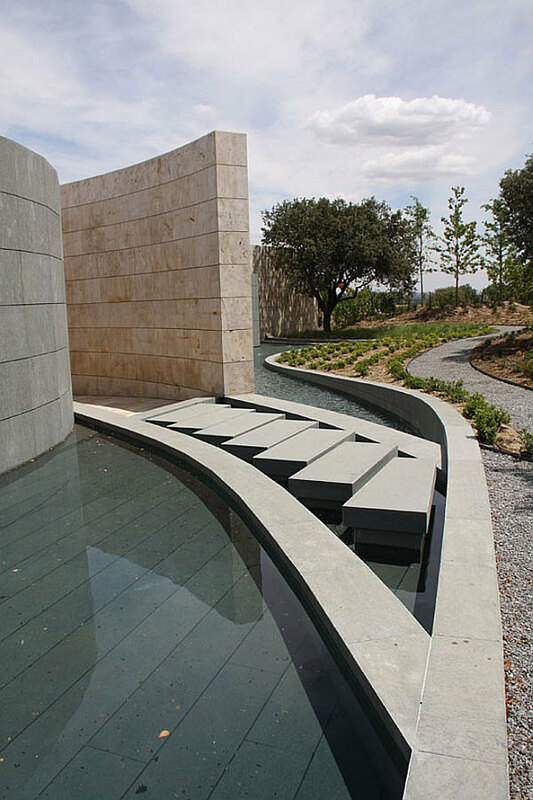 This sleek home in Pozuelo de Alarcón in Spain is another case in the point as it employs stone dark granite and marble travertine in an elaborate fashion to create a private structure that is wrapped up in delightful curves. 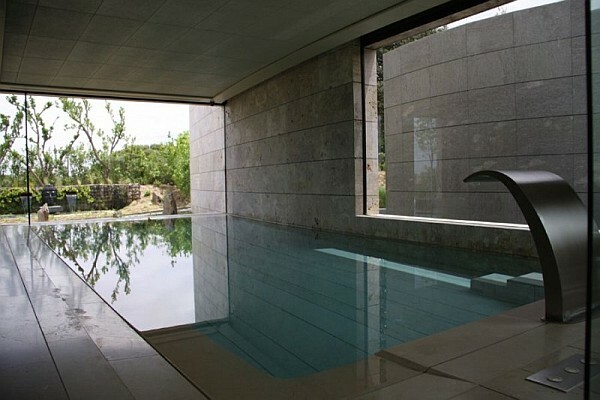 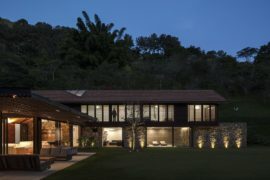 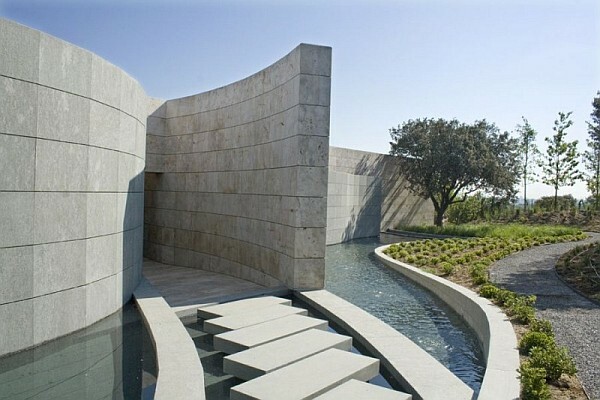 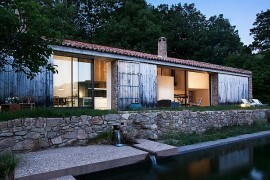 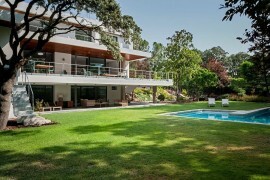 The house has been mainly divided into two segments with the upper level accommodating two serene pools, an ergonomic kitchen area, intoxicating wine vault, spacious dining room, an open lounge, lovely home office area along with the main master bedroom and the bath areas. 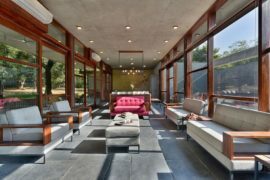 The entire upper floor is laced in lavishness and is sensibly adorned with floor to ceiling glass windows so as to disturb the existing privacy. 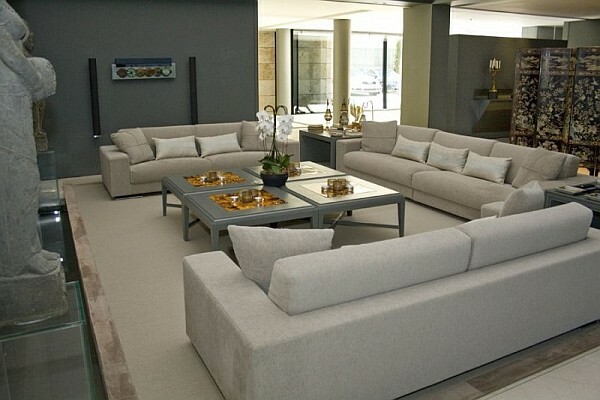 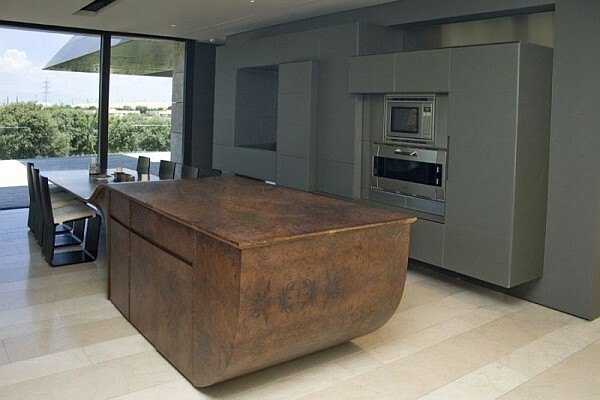 Tables that have been carved out of stone and décor that is both refreshing and yet easy on the eyes with neutral shades, complete the interiors.